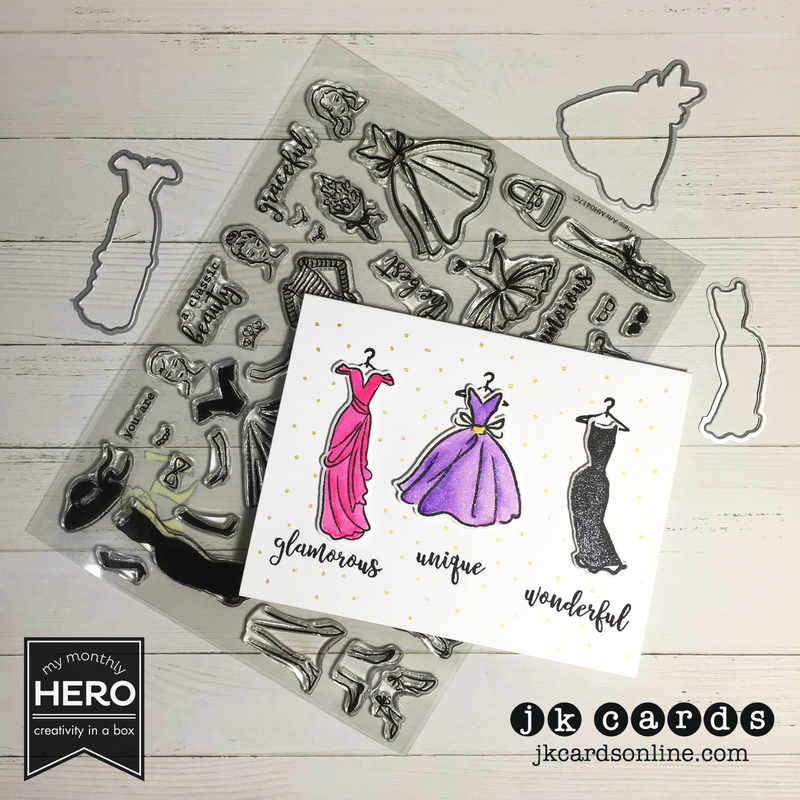 This entry was posted in Blog, Cards, Crafts, Hero Arts, My Monthly Hero Kit, Photopolymer, Stamps, Watercolor, Zig Clean Color Brush Markers and tagged Card Making, Crafts, Hero Arts, My Monthly Hero. Bookmark the permalink. Great Mother’s Day card! Love it! What a unique and beautiful card, Justin. I love the colors of the dresses and the font of the words. Have a great Saturday! I absolutely, positively love this card! Your coloring is fantastic and the shading couldn’t be more perfect! Mum is to to be thrilled to receive it! Thank yo Grace! It was a fun card to make! Please come here and clean my house! We have sunshine here, but still cold. I spend the day scrapbooking with my BFF, not alot done, but a good time. She just came back from a cruise, gorgeous pictures. While I payed my awesome hubby, my daughter and her boyfriend went to Ikea to get me my bookcase for my sanctuary, AKA scraproom. I really need to get my stuff out of the living room and organized. My daughter;s boyfriend loves Ikea and pretty much has the store mastered. It did not take him long to find everything and load it into hubby’s truck. Quicker then me. This card is awesome, Such a fun set,. I actually did get a card made. I purchaed the Hero Arts peacock die a while back. Since it was still in the package I was able to find it. LOl Their stamps are the best. LOL! I have enough trouble keeping my house in check! I love when you have your scrapbook days! You have a good family too! I too am a big IKEA fan!